As collectors become more discerning and knowledgeable in assessing Constellation dials for originality, the pressure will be on dial refinishers to raise their game and produce even better likenesses of the real thing. Of late, Ive seen some better than average examples of refinished dials. The gap between bad redials and well executed redials is growing, with some of the better likenesses causing even the experts to scratch their heads for a while. Ive upgraded my original article on dial distinctions to include additional information. The file size is quite large and hence is divided into two parts. Hi - Other way around :) I emailed them for permission. Your essays have been a huge help to this newbie collector. I just purchased a 1954 Constellation that fits the crossed "t" description you note in part 2 (page 10). It's a 1954, 354 calibre, with guilloche dial (original and passes all the usual tests), but it's in a 2782 case, which you did not list as one of those that have this unusual font. If you'd like photos to verify, let me know. The 2782 certainly was a crossed t dial, in both the piepan and domed dials. Youre right that I didnt actually mention it in the text. There is a pic of a 2782 there with description. Looking for experienced advice and would sure appreciate a response as to if the following is possibly a "frankenwatch"
I thought the script looked correct but am not sure if the case or dial design is authentic. Also, no case or movement #'s to reference to see whether or not they belong together. Thanks for your words of wisdom in advance! The stick (baton) hand version of this calibre 564 model should be case 168.0018. The watch looks correct, but I would never choose to buy without asking and receiving pics of the movement and case back, so as to be able to confirm that hands are correct and movement is in good condition. I note the auction has finished...lowish price, its modesty probably reflected by the fact that the seller didnt provide movement and case back pics, and so, a message for sellers too eh? I love your blog here and the information on the Constellation is second to none! I am a real fan of these watches. Unfortunately due to their popularity and value there are so many fakes and unscrupulous sellers out there! All your research and background information is really an invaluable asset. I have been researching a specific caseback and movement to try to determine if they are an authentic match. Upon reviewing much of your great reference material I am still drawing a blank. It is paired with a calibre 564 movement. I am finding info for 168.0010 but not the above combination. Do you have any experience in coming across this particular case ref. # and your thoughts on it being legitimate. If you would be able to respond, it would be greatly appreciated! Yes, it seems you have a correct ensemble. The Omega database was recently standarised and in the case of a lot of models with six digit numbers, they have given them an extra digit. So if you have 168.010 (which is the non-hidden crown version of 168.004) it will show up in the database as 168.0010. I guess it was kind of a silly novice question but you have to try to learn somehow. Thank you so much again for the response and your expertise! I'd love to hear what you have to say about that dial! Well I aint gonna say it produced an eyegasm Michael :) Slightly earlier and bad redial. Unfortunately, the seller claims it is an original dial, which to most of us means untouched since birth. It may have been an original dial originally, but then someone got to it and made short work out of that eh? 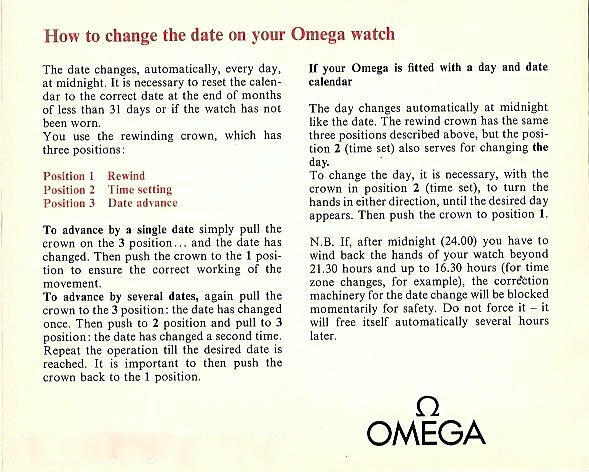 Facinated with your fantastic info on Omega Constellation watches. I have a question on the dials_part_2.pdf regarding hands. it says on page 20 that the rule of thumb on hands is that the minute ans second hands should extend to the minutes index yet on page 19 you show an picture of a 1963 Grand Luixe from a Greman Brocher which would apear to contridict that very rule - the hands DON'T reach to the minuite index! Keep up the great work, thanks Dave. 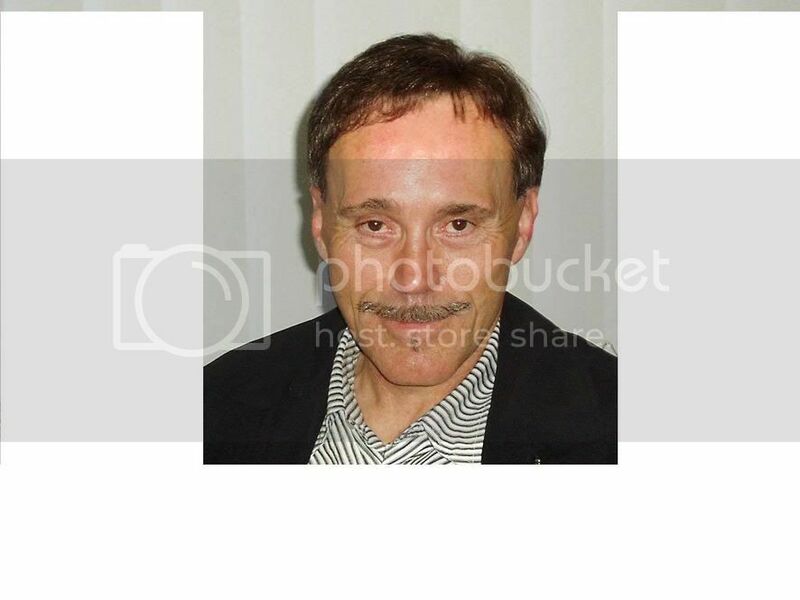 Hi Dave and thanks for your post. Aha, a trick of the light and the downside of saving a pdf of a scan. When you look at the hands closely, you'll begin to notice that there is actually no shadow and the hand extends further than initially thought. Also the sweep seems to be short, but in the original brochure the minute hand and sweep extend to the chapter ring. So, I think the rule of thumb holds...but thanks for pointing that scan out - I'll try to get a better one. Are there any non-Swiss made connies? In one of the articles you mention Brazilian, British, and Argentinian connies. They wouldn't bear the "Swiss made" label on the dial, would they? Even if the movement is Swiss Made. All Constellation movements were made in Switzerland and all gold capped and stainless models were also full made in Switzerland. In some countries where restrictions on the importation of gold cases were in force, such as UK, Brazil and Argentina, cases were made locally. However there are many 'unofficial' gold cases made in South America and so it is important to ensure that a South American Constellation is properly authenticated before buying. I should be receiving my first Constellation any day now. So my collection will now consist of one Geneve and one Connie. You've seen pics of both watches. Each is a relatively clean example. What I'd like to ask now is this: What can I do to try to ensure that they remain that way. How can I preserve them while enjoying them at the same time by wearing them regularly (if indeed this is possible)? On average, I won't be wearing the Connie more than three days per week, unless I'm wearing it in my apartment to keep it running. The Geneve I wear every day unless the weather is bad or unless I have to travel through a fringy part of the city. Do you think I should get a winder? Also, I often commute (not very far) to campus by bicycle. Is it a bad idea to wear these watches when taking a leisurely bike ride--are they too delicate for that? I must sound like a supreme novice, but I want to take good care of these pieces, and I've found this blogspot to be more helpful and trustworthy than any other source. I wear vintage watches all the time and so it's fine to give them plenty of wrist time. The important thing for vintage watches is to know when they were last serviced. That will give you some idea of the tpe of service regime you need to establish. As you know mechanical watches use oil to reduce friction and prolong parts life, and it's essential that the watch movement is both clean and oiled. Also, it is wise to make sure that the crown sealing system is still working and the caseback gasket provides prtection against wrist perspiration and water incursion. If the watch has good seals then if it gets a bit of a sprinkle when you're riding your bike the movement will be protected. I wouldnt worry about a winder. OK for new watches, but with vintage you only want them going when you wear them - helps prolong parts life. I customarily take off my watch when doing manual labour around the home so as to proect it and ensure no perspiration gets inside the watch. Other than that, they can be worn and not coddled. Good idea to source a local watchmaker who is older (not a jewlery store) and who has worked around Omegas for years. That way, if the watch slows or seals dont protect it from moisture you can walk in, have the watch tested on a timer and have any issue attended to. Okay, many thanks for your advice once again. I picked up the watch today, and it's really quite beautiful. Had to wind it a bit to get it running, but it's keeping good time now. Looks even better in person than online. I went to a local jeweler just around the corner to use his loupe so I could see everything up close, and it looks good under magnification too. The watch really appears to have aged gracefully. 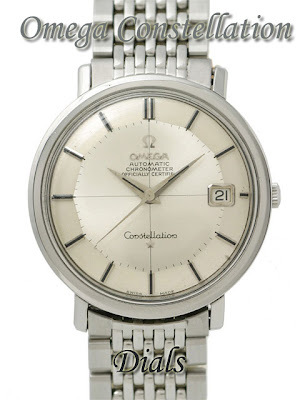 I've contacted a local watchmaker who specializes in vintage pieces including Omega. He is supposed to call me this week about making an appointment. In addition to checking to make sure the watch was properly oiled when the seller last serviced it (very recently), I intend to discuss looking it over to make sure the crown sealing system and case back gasket are in good order. If there is an issue with either, or both, do you think it would mean a very costly repair? No Chris, gaskets are relatively cheap and corwns around 35 dollars max. Okay, good to hear. And, again, many thanks. Hi, I have spotted an 18ct 2648 with a 1952 serial number 352 movement for sale, it has an observatory back but the chronometre marked dial (which appears to be original) has no constellation logo or star. We're any constellations made and not distinguished as such on the dial? It sounds to me that you are referring to the "no name" Constellation, produced in Switzerland for the US only in the early 50s. Have a look on the RH links column and click Globemaster - No Name. INteresting story about these early US pieces. They are now quite uncommon. Im considering adding another vintage Omega to my tiny collection of watches (Geneve + DeVille). A local shop has two nice pieces on offer, a so-called bumper model that was purchased as a gift in 1960 (based on the engraving) and a Constellation officially certified chronometer. The former is fitted with a calibre 344 movement. As for the constellation, I have yet to find out more information about it. This blog has been amazing in that regard, and im inclined to opt for the Constellation because of it. There is one ‘but.’ The midnight blue dial is somewhat corroded. However, it is corroded in such a way as described in your essay; very evenly. It’s almost as if it left the factory like this. That said, the old bumper is a very elegant dress watch and looks stunning. Would there be any particular reason to pick one over the other? Midnight blue was not an Omega dial colour of the period, although you may have interpreted an aged black dial as midnight blue. Depending on the model, I would incline towards a chronometer as opposed to a generic cal 344 model, unless it was a Seamaster. Feel free to post a reply with your email addres (I will not publish the post as spam bots tend to pick up on emails) and we can continue the conversation 'off-line. If you can then send me some pics I may be able to assist you with your choice. I am re-reading your blog over and over again, trying to absorb as much information as possible. Thanks for the vast amount of info! Please keep up the good work: one day I will certainly go for a original Connie! Yes the cal 352 RG are a very pretty movment. Early Constellations also were powered by these calibres. 12.8 is quite late for a 352. I'm wondering if the bridge has been replaced. If you want me to have a look at the watch, post your email and url of the piece. I wont publish it and will respond privatel. I am looking at an OT 2648 which has a gold bracelet slightly different from the one in "voyage à travers le temps" with the 5th sec. dial in black with nice patina albeit light scratches, but... the star is apposed above the word Constellation. I've not been able to find anything like that on the net. Have you ever seen such a dial. The patina on the dial looks real and I really don't think it is a redial but I don't know how to explain this inconsistency. Any ideas from your side? If needed I can send a (bad) picture. Don't see how I can post it in this comment. This watch is best viewed methinks. You can send a pic by clicking on the about me icon in the RH column and following through to the email click-through. I have seen in the first part of your article about the dials, a dial with indexes holding luminous dots. I have seen others dials with luminous dots but never with arrow-head indexes. What is your opinion about this for sale? Yes, this arrowhead + lume configuration is seen on these models. Not sure if the lume has been replaced as it doesn't look to me as finely placed as one usually sees. Hands on the example you mentioned are a bit too big for the dial.